Sony has introduced at CES in Las Vegas the new Xperia Z1 Compact. It is a smaller version of its flagship device, the Sony Xperia Z1. Several companies have been releasing to the market “mini” versions of their high end phones with a more affordable price. To reduce the price, the specifications of these versions are usually somewhat lower than the original device, either in the display resolution, the speed, the memory or the camera quality. However, the Xperia Z1 Compact has not changed practically anything respect his older brother. The only difference between the two Z1 is the screen size, the screen resolution and the size of the battery. The Xperia Z1 Compact has a 4.3-inch screen and 720 pixels (a slightly lower resolution than the 5 -inch, 1080 pixels of the Z1) and a 2300 mAh battery (while the Z1 has a 3000 mAh one). All other specifications are the same: quad-core Snapdragon processor 800, 2GB of RAM and an amazing 20.7 MP camera. The device is slightly thicker than the original in order to fit this spectacular camera inside, but the other dimensions and weight have been reduced. The Z1 Compact comes with Android 4.3 Jelly Bean with the typical Sony customization. 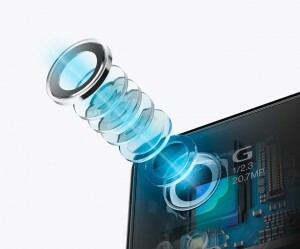 The camera maintains the same technology of the Z1, including the 1/2.3” sensor, G Lens and BIONZ image processor. 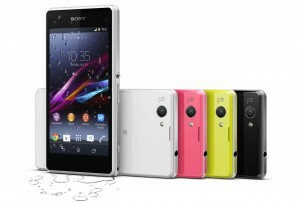 The new Xperia Z1 Compact will be available next February, and it will come in four colors: white, black, lime and pink. The official price is not yet known, but it is expected to be cheaper than the original Z1.